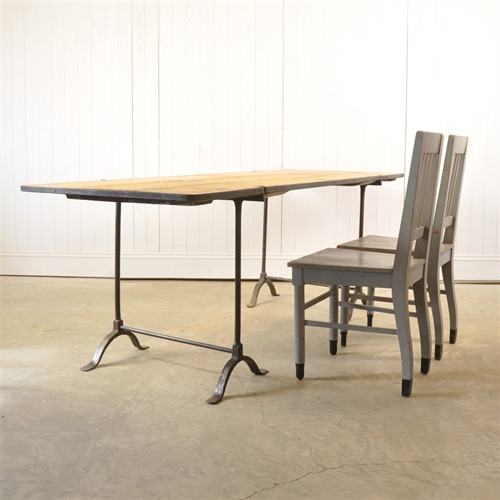 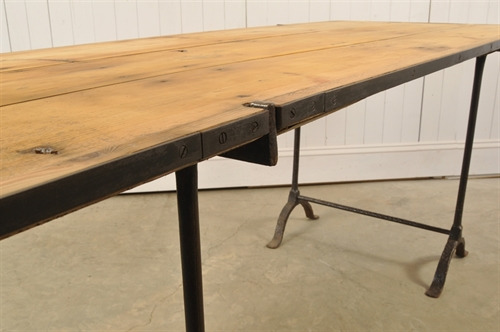 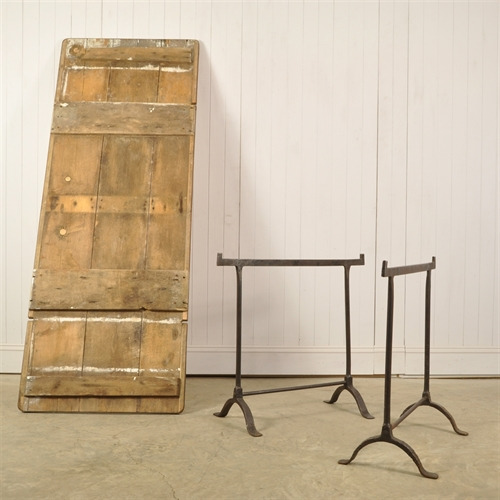 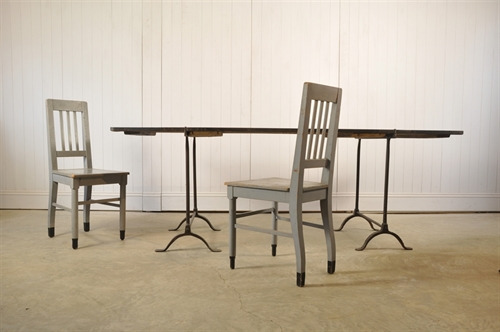 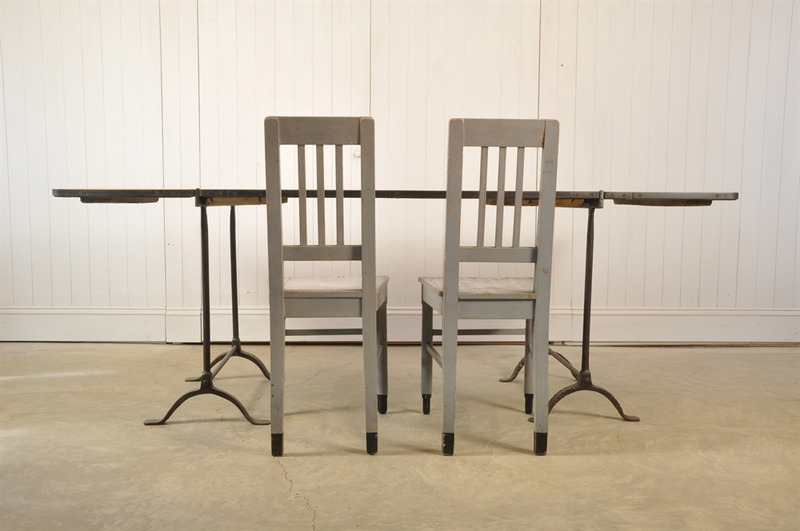 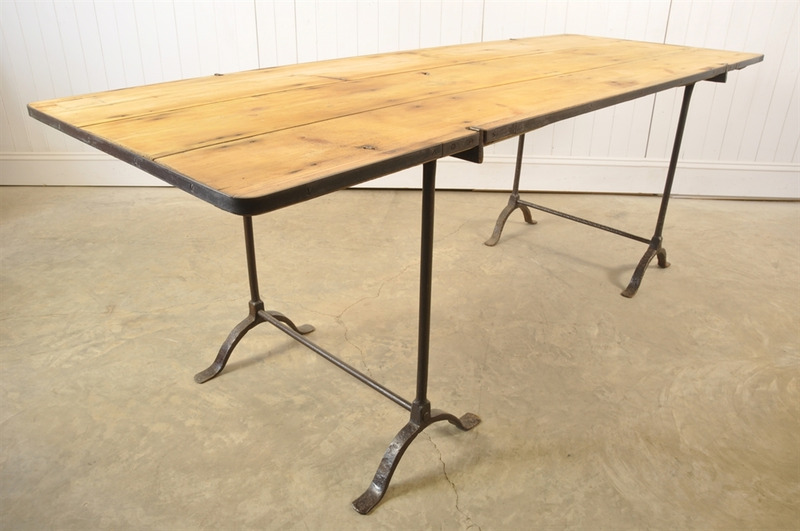 Antique Metal Trestle Table - Original House – Decorative Antiques, Vintage Industrial Furniture and Lighting, Cotswolds. 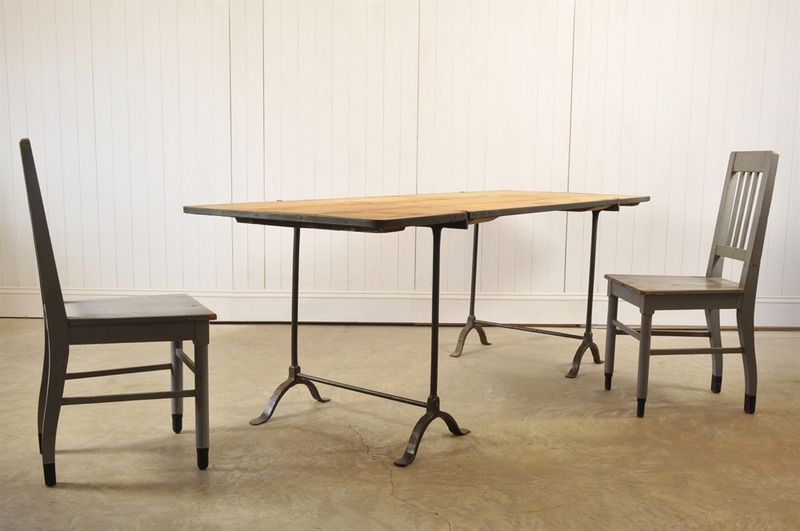 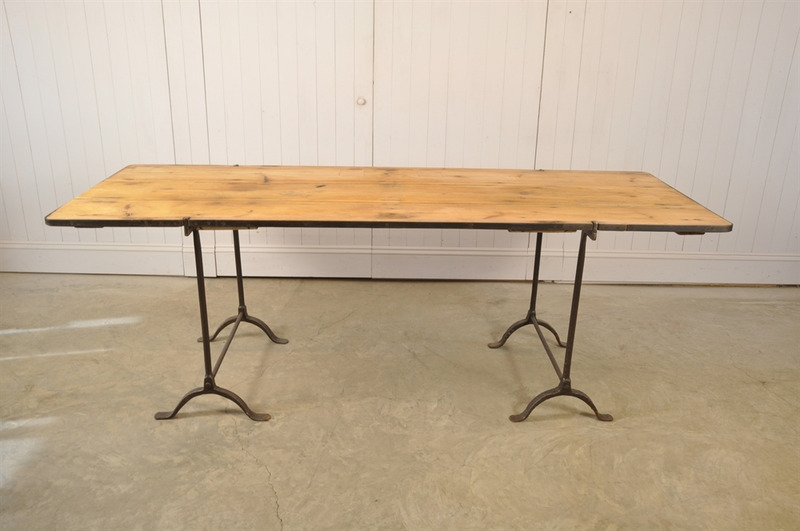 This lovely simple table has been put together using 19th Century wrought iron trestle bases, and the pine top was originally the base of a Georgian salting trough. 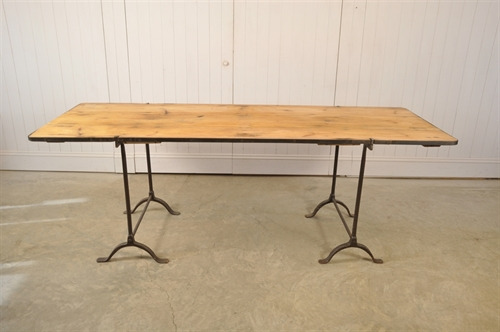 Using such authentic antique materials has worked really well in this marriage to produce a stunning and clean-lined table. 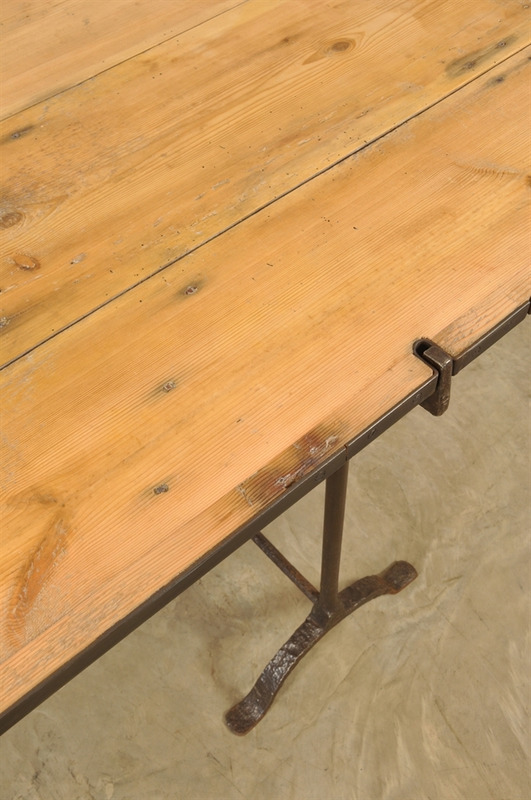 A steel band has skilfully been added around the edge of the table - this means that the lugs from the trestle base fit snugly into this steel 'socket' making the table very stable and sturdy. 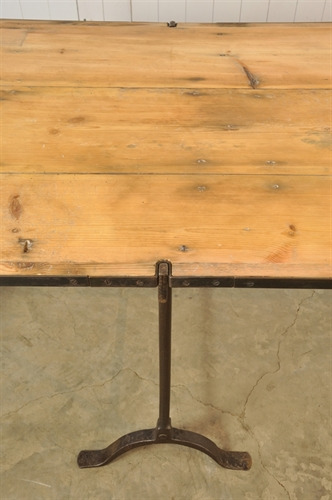 I can push the table around on my concrete floor without the legs tipping at all. Lots of original patina to the metal legs as well as the pine which has signs of old re-treated woodworm - we have finished the top with an Osmo Oil. 75.5 cm h x 211.5 l x 78 d.